ITAR Registered Manufacturer: Custom Functional Test Fixtures - EMC Technologies Inc. Many different industries rely on custom functional test fixtures and RF functional testing to ensure that their products are working as they intended. The key is to have a well-defined test strategy in place to provide confidence in the ability of the product and to minimize risks. EMC Technologies partners with each client we serve to work alongside them and create custom solutions for product development and testing. We have found that the earlier we get involved with the project at the development phase, the more beneficial our services can be to the client. We listen to the needs of each client to create a test plan that is designed to meet or exceed expectations. Wired and wireless functional testing, as well as other methods of testing, can all be developed in our functional test division according to your specifications. What Does ITAR Registered Mean? 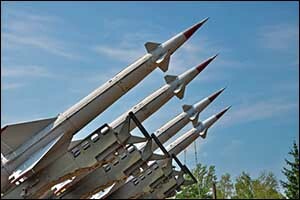 ITAR stands for the International Traffic in Arms Regulations. It is a set of government regulations that are related to exports in the defense industry. These regulations are defined by policies and provisions that deal with exports, imports, and sales both to and from specific countries. As an ITAR Registered manufacturer, we are authorized to create top quality custom functional test fixtures and services for the highly regulated aerospace, military, and defense industries. While we provide services to a wide range of clients across multiple industries, we specialize in developing RF functional testing, wireless functional testing, and other types of testing for clients who work under ITAR regulations. EMC Technologies works with both government and private contractors to develop and manufacture testing devices and custom functional test fixtures that are used to ensure that all requirements are met. Our commitment to working with our clients early in the design phase helps to overcome obstacles that might otherwise cause difficulty in the manufacturing process. It is our job to ensure that our clients can manufacture products that are reliable and durable, especially in the environments that they are designed to be used in by the aerospace, military, and defense industries. EMC Technologies got our start in the Custom and Functional Test Division of TTI Testron, which was known at the time as Project Central. As they moved away from the primary business focus in 1997, key PC personnel and Engineering Management Concepts of California moved on to establish a world-class custom functional test fixtures company, which eventually become EMC Technologies. Since our origins came from a focus on the functional test division needs of the military, our client base has evolved to include a mix of military, military contractor, and commercial customers. We do work with a variety of different industries, and our reach has expanded and grown since EMC Technologies launched, but our roots are in defense. Our team of highly trained and experienced engineers designs and manufactures wired and wireless functional testing and test interface adapters that are used to test PCBs and assemblies for a vast number of applications. Some of our recent clients have included developers from the telecommunications, networking, computer server, and satellite TV/IP industries, as well as from the medical and healthcare industry. Our experience working with highly sensitive and complex orders for the defense, military, and aerospace industries has helped us to create solutions for a wide range of customers with unique and challenging demands. EMC Technologies has developed highly custom ITAs (interface test adapters) designed to support military airplane programs, and we have worked on multi-national missile programs for military clients. This diverse array of customers and products has helped us to stay current with all the latest testing advances, becoming especially proficient in the areas of tight tolerance, high-speed, temperature, test racks, and RF functional testing fixtures. Our clients consider us to be a partner in their test challenges. We are very proud of the loyalty that they have displayed to EMC Technologies throughout the years. Some of the challenges that we have faced recently include faster speeds, smaller targets, new technologies and more company outsourcing, just to name a few. Our team is working hard to prepare for the future by listening to the needs of our customers, ensuring that we employ the best talent in the industry, and by continuing to invest in technology advances. Communication is an important part of the service that we provide. Our project managers work to coordinate with our clients and our various design, engineering, and testing departments for optimal customer satisfaction. If you are interested in learning more about EMC Technologies or would like to speak with a member of our team, give us a call at 508-672-0808. Located in Fall River, Massachusetts, we provide top quality services to customers throughout the New England area and all around the world.